Look no further than the Force, our version of the S’well bottle! 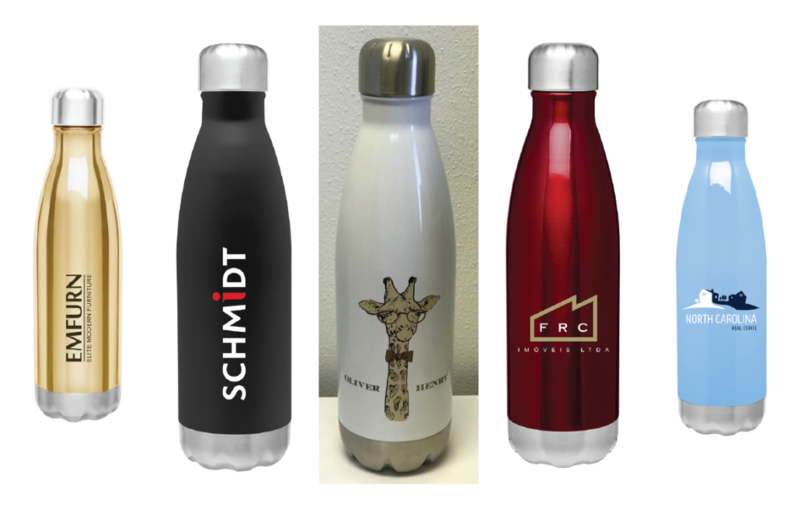 If you are looking for a sleek, modern, retail-inspired promotional product to brand for your organization, look no further than the Force water bottles, inspired by the popular S’well water bottles. With our most popular 17oz Force starting at only $12.99, the Force is a great gift for your customers, employees and more. Available in a variety of colors and sizes ranging from 12oz to 34oz, the Force is a double-walled copper insulated water bottle, meaning that it will keep hot drinks hot for up to 12 hours, and cold drinks cold for up to 24 hours. No matter where you takes it, you’ll be advertising your brand, while staying on-trend at the same time. Looking for something extra special? The 17oz Force also comes in metallic gold, silver and copper for an additional charge, giving you an even higher percieved value. Packaged in a retail gift box, the Force is sure to make a statement when you hand it to your customers or employees as a thank you gift!